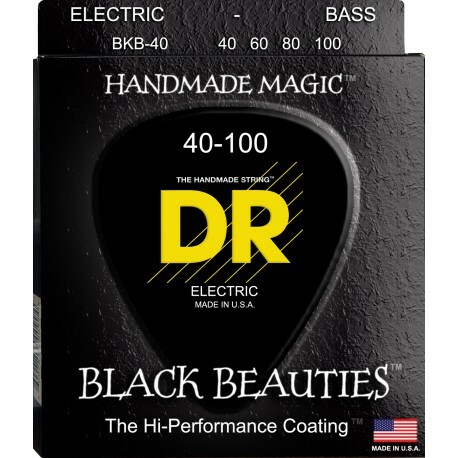 Black Coated Nickel Plated Bass Guitar Strings on Round Core. The K3 Coating is the first coating that players report, sounds as good or better than uncoated strings. 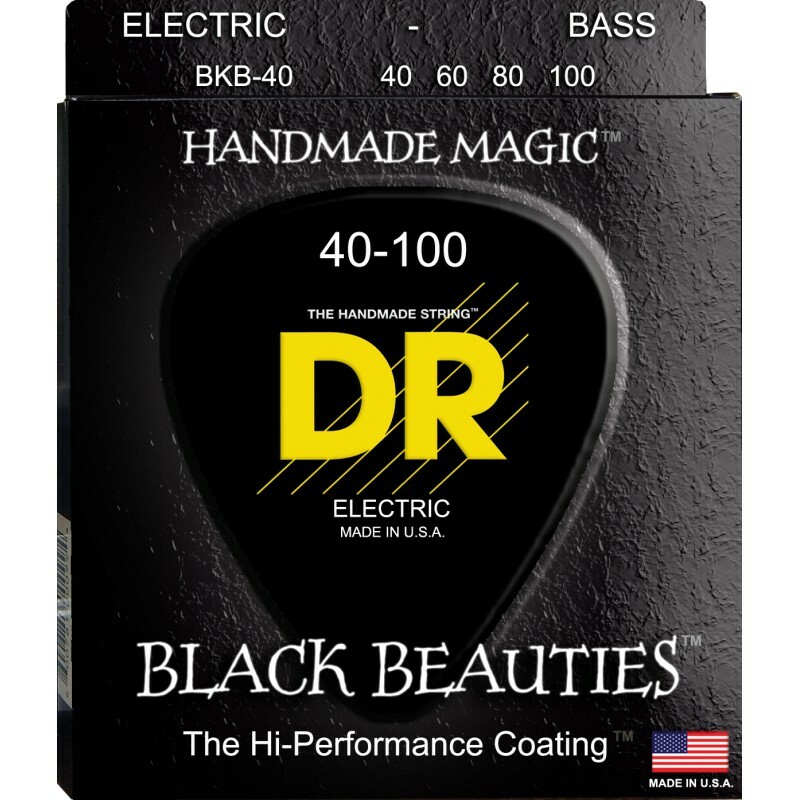 DRs new, remarkable, proprietary and patent pending K3 Technology Coating is the first coating that makes no apologies and no excuses for not delivering sound equal to uncoated strings. Players tell us that these strings have more volume, less unwanted overtones, greater clarity and articulation then standard, uncoated strings. Yet, they provide the same protection due to corrosion and perspiration as well as increased tone life that coated strings are known for.